Zip HydroBoil Pro saves energy in 4 ways: Power-pulse technology cuts standby power consumption dramatically, sleep-mode feature when not in use, switches off when it is sleep-time and patented steam-heat-boost system recycles steam to preheat incoming water. 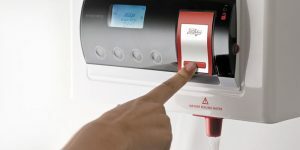 Unlike kettles, which take time to boil, Zip Hydroboil Plus provides boiling water instantly at the touch of a button. You never have to wait for boiling water again. Like all Zip instant boiling water heaters, Zip Hydroboil Plus is up to three times more energy efficient than an energy-guzzling urn and just as efficient as a well-managed kettle. On standby, the most popular Zip Hydroboil Plus uses less power than a 60-watt light globe. Zip Hydroboil Plus delivers boiling water at a fraction of the cost of urns or kettles, paying for itself in no time. No time is wasted waiting for water to boil. The high-efficiency thermal insulation and recycled steam helps cut power bills. The Zip Hydroboil Plus saves time, electricity and water. 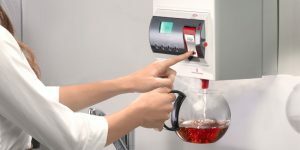 Connected to the cold water and power supply, boiling water is continuously available, around the clock, at a touch of the tap. It provides for concealed plumbing and electrical connections. All Zip Hydroboil Pro units are designed to operate up to 400 kPa. Zip Hydroboil Plus is available in varying models, delivering from 18 to 45 cups of boiling water at one time. All models come in either a stainless steel casing or in a high quality and durable white polyester powder coated finish. To choose the right model for your needs, simply estimate the number of cups of boiling water you require at one time and select from the table Below. As no steam escapes into the atmosphere, steam damage to paintwork, plaster, working surfaces and expensive wood finishes is Eliminated. All Zip Hydroboil Plus units are equipped with patented safety controls to protect against water or power failure. This unique system maintains the water within 1°C of boiling point at all times. As an option Zip Hydroboil Plus II is configured to deliver ambient water as well as boiling water This option requires a separate chilled water unit to be installed under-sink. Three copies of chilled water units are available and are capable of delivering 30, 60 or 140 chilled glasses of water per hour. An optional triple-action under-sink filter conditions the water in three important ways, to inhibit the formation of water mineral scale and sediment in the boiling water chamber, as well as giving you crystal clear boiling water for better tasting tea and coffee. Removes dirt, rust and organic matter contaminating your water supply. Eliminates odours by reducing chlorine, chloramines and other chemicals.